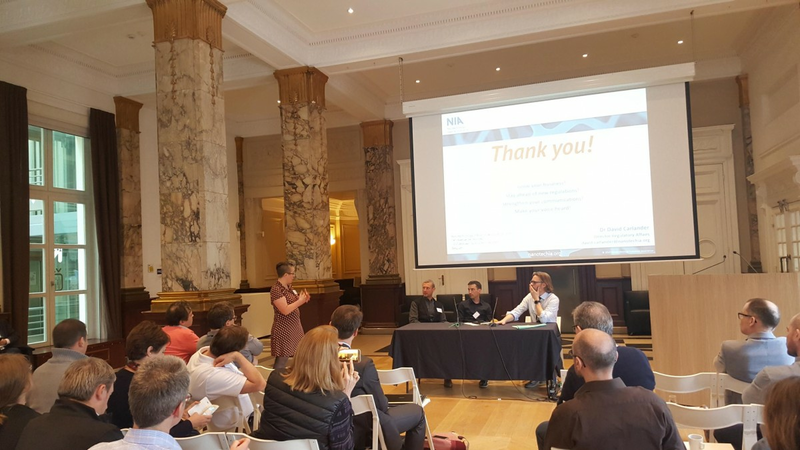 NIA welcomed Members and guests to its 8th Annual Symposium in Brussels on March 27th 2019. The day long event addressed key aspects of successful commercial delivery of nanotechnologies, including societal position, novel applications, challenges through the business pipeline, plus policy and regulator future vision. The day incuded an afternoon focus on nano in waste, with an in depth look at latest research, current business practice and what the future might hold from a regulatory perspective. Speakers were represented from the European Commission, ECHA, industry and research centres, with the event also featuring the 'Project Corner', with 18 H2020 projects linked to nanosafety and innovation. Catch up with the agenda, speakers and projects HERE.